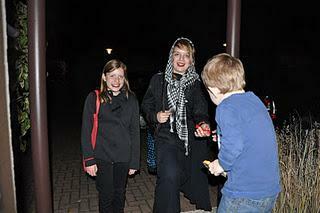 We had the most visitors we've had since living in Germany on Halloween last night. There were two knocks on our door. In the first group there were four German kids, the second group two. Blue Rock enjoyed passing out candy and seeing the kids dressed up. 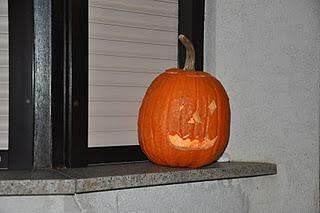 All the Germans say a lot more than just "trick-or-treat." Our awesome neighbor translated what they say for us. He said they say: "Halloween Halloween buh and chuck, all the hags now are here, Halloween Halloween get no fright, sweet stuff over than we are away!" 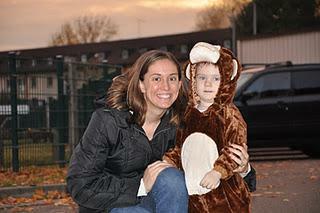 Saturday evening we went trunk-or-treating with some Americans. 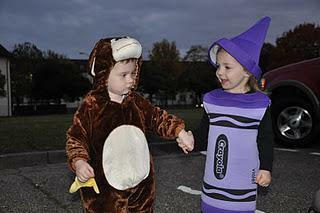 This was the first time Blue Rock has gone "trick-or-treating." 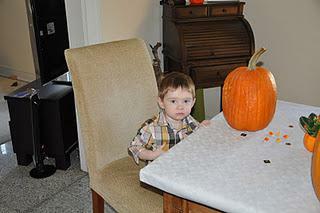 He had fun and enjoyed saying, "trick-or-treat" and "thank you!" Blue Rock was a monkey this year. 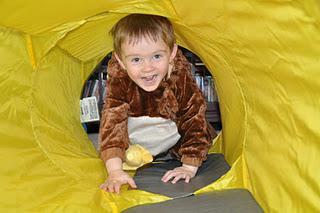 He loves his costume and likes wearing it to play in. 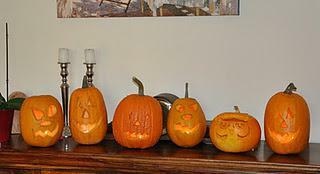 Friday we joined some friends for some pumpkin carving fun. It ended up being the Mom's who did the majority of the carving as the kids quickly decided they had more fun playing than carving. I hope everyone had a great Halloween!